One thing I'm constantly being asked is where to brunch in London. 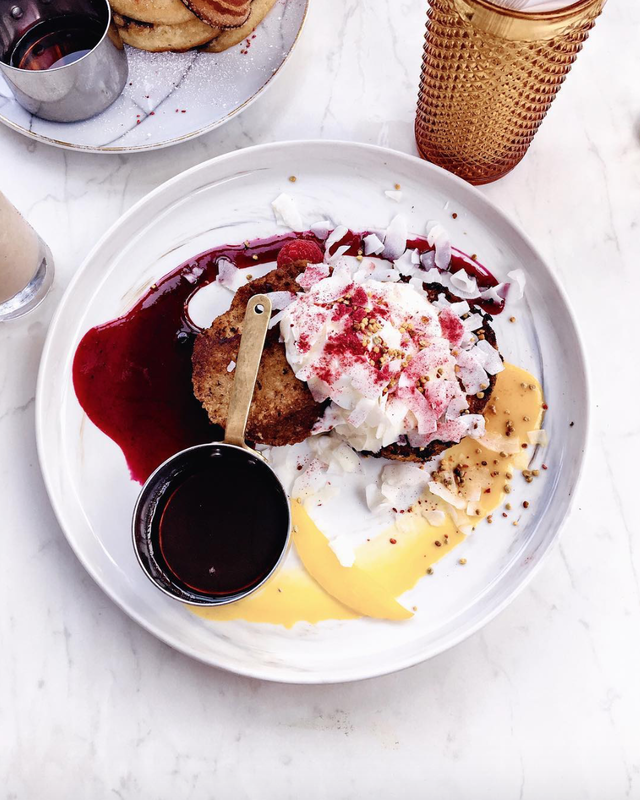 It seems I've developed quite the reputation for visiting 'Instagram Brunch Spots' across the capital, so today I thought I'd pass on this knowledge to all of you (and develop a list I can hand to my friends whenever they ask!). All of the places listed below are restaurants that I've visited myself, although of course there's an endless list of brunch spots I haven't yet discovered (there's only so many avocados a girl can afford 🙈), so feel free to leave your own recommendations in the comments - I'd love to hear them! 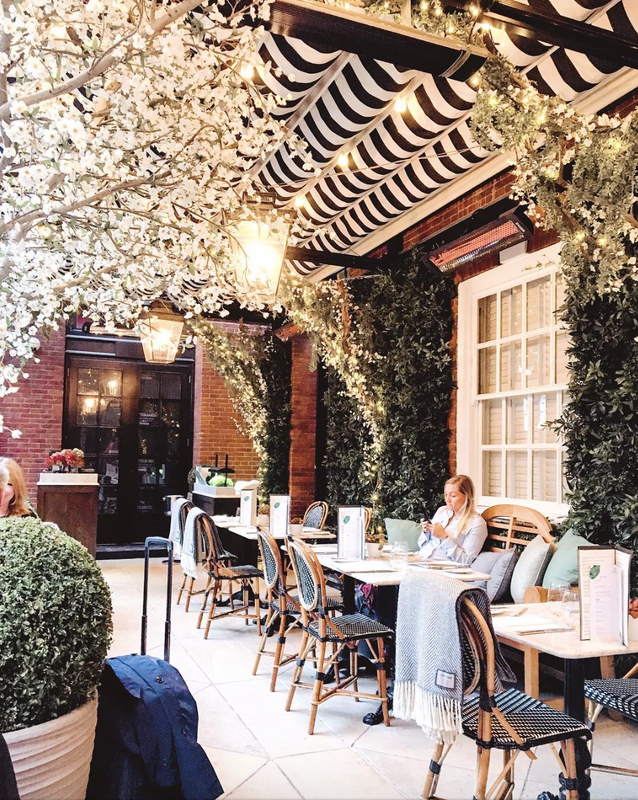 Unless you've been living under a rock, you'll have definitely seen Dalloway Terrace appear all over your Instagram feed, and for a good reason - the terrace is absolutely stunning. 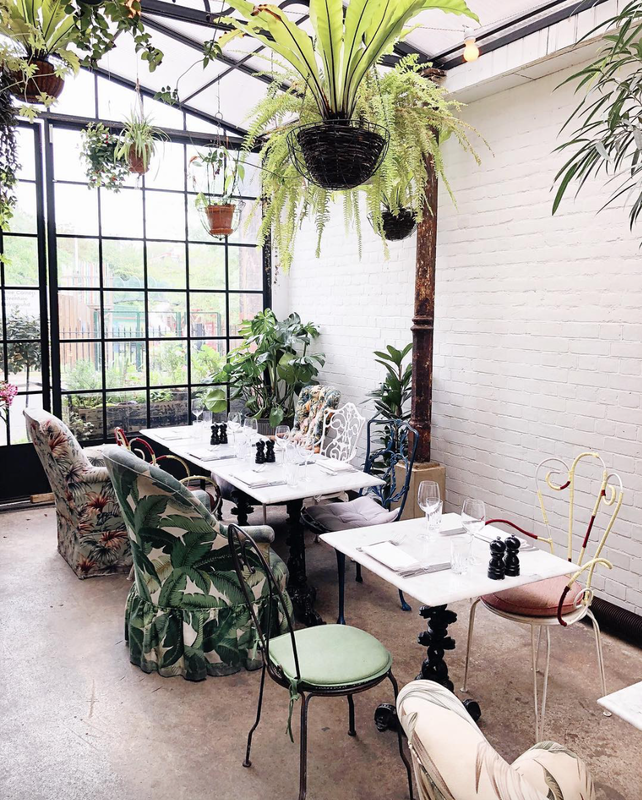 Each season, the Bloomsbury (the hotel which owns Dalloway Terrace) revamp the decor making it even more insta-worthy, and if the wasn't enough to get you down to Fitzrovia, then the food definitely will be. I've had quite a lot of avocado toast in my time, but I can hands down say that Dalloway Terrace has the best bread, and if you're popping by for lunch then you have to try the risotto - delish! 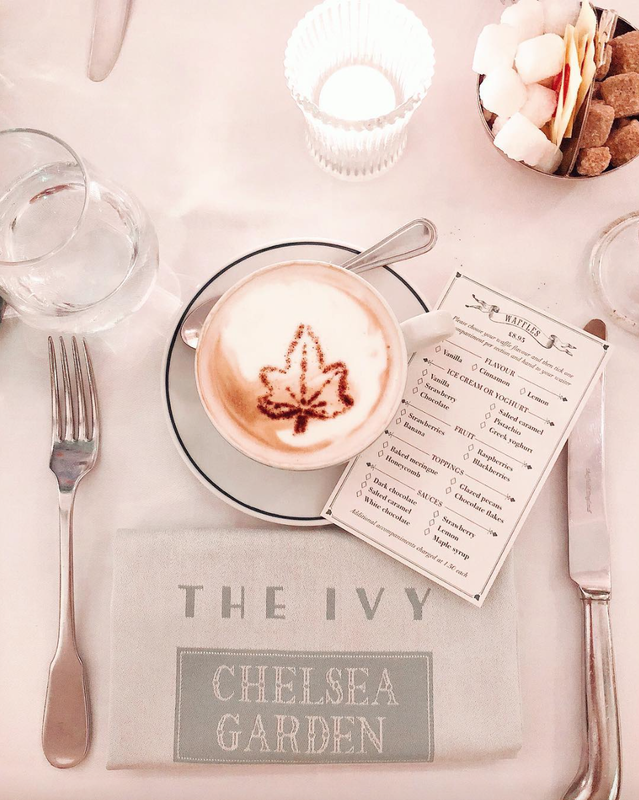 The Ivy Chelsea Gargen is my go-to when I'm not sure where to go...I know the food will be good, the restaurant is pretty and the cocktails are great. If you're heading here, then definitely try to grab a table in the conservatory (or the garden if it's a sunny day) and treat yourself to the waffle menu! If you ever find yourself in Hackney, then you need to head to Palm Vaults. This vegan cafe is a pink-lovers paradise, and the old school miami-inspired decor is a dream. 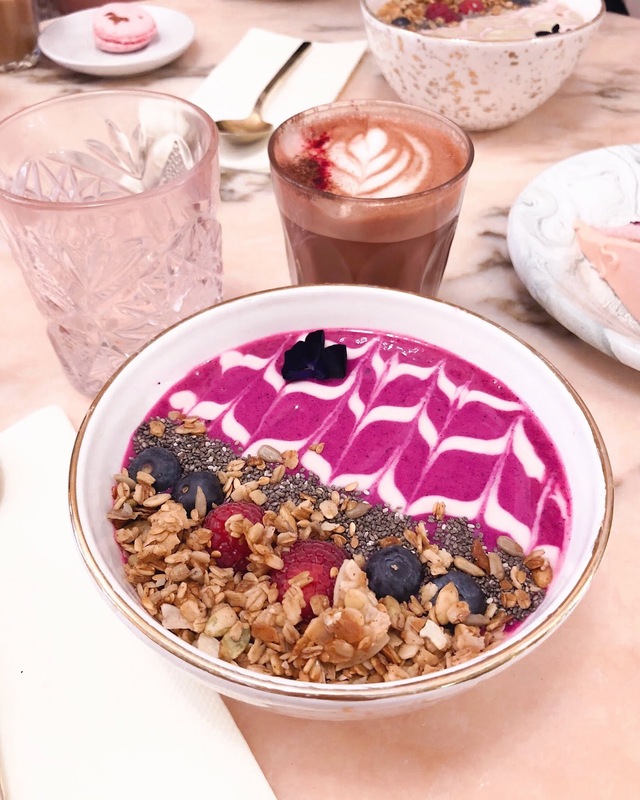 If you're looking for colourful, or even glittery, lattes then this is the place for you...and the smoothie bowls are fab too! Timmy Green has got to be one of my favourite brunch spots in the whole of London. This Australian cafe is laid back, relaxed and does the best french toast on earth. It's quirky without being too hipster, and perfect for a chilled Sunday morning...if you're going, make sure you try the: coconut french toast, pancakes or avo on charcoal bread! 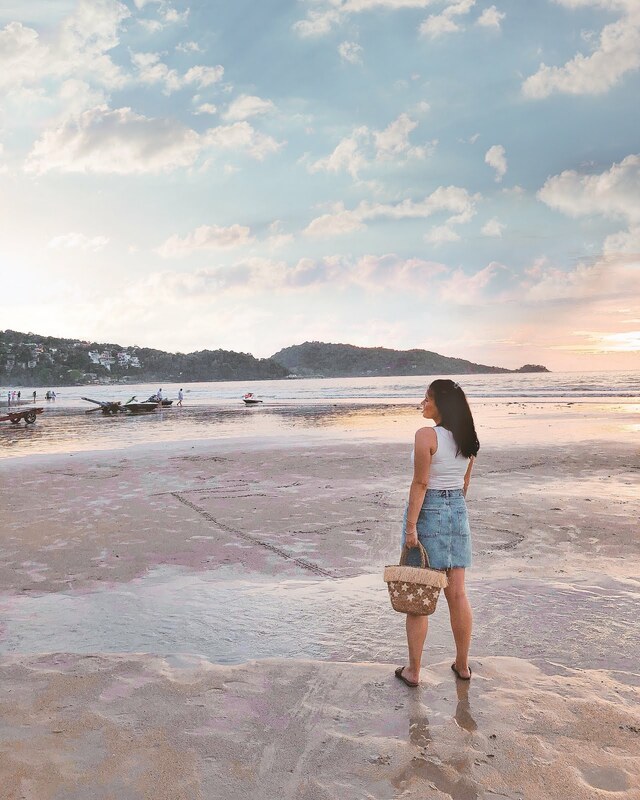 Welcome to Sail Away, a travel and lifestyle blog run by Becky, a 25 year old social media manager trying to navigate life in the big city. © Sail Away. Design by FCD.